The mountain dulcimers are the most important and vibrant country music instrument.It is said that it was originated over 200 years ago.Dulcimers are only used in country music.The first dulcimer was made in PENNSYLVALIA in the late 1780s.Dulcimers were first used in the folk music of Virginia,West Virginia,Ohio,Tennessee and North Carolina.The sound of Dulcimer is unmatched. The best Dulcimers players so far are Lois Hornbostel,Leo Kretzner,David Schnaufer,Lorraine Lee,Larkin Bryant,Howwie Mitchell,Holly Tannen and Barb Truex. During the early days of Country music,Accordion played a very significant role.In later years it was replaced by the steel guitar but recently many country artists started using it again .True country Accordionist are very rare breed.Pee Wee King is a very fine Accordionist who gave the Accordion much more exposure with his beautiful recording of the Tenneessee Waltz.Country artists like Hank Williams,Bill Monroe,Roy Acuff,Marion Martin started using Accordion in their recordings. 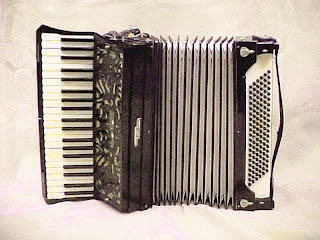 There are two styles of Playing Accordion and they are SLIPSTYLE & COUNTRY WHIRLS.The first Accordion was made in 1728. The harmonica is a free reed wind instrument which is played by blowing air into it or drawing air out by placing lips over individual holes (reed chambers) or multiple holes. The pressure caused by blowing or drawing air into the reed chambers causes a reed or multiple reeds to vibrate up and down creating sound. Each chamber has multiple, variable-tuned brass or bronze reeds which are secured at one end and loose on the other end, with the loose end vibrating and creating sound. Harmonica was developed in Europe in the early 19th century.It was first appeared in Vienna.There are two techniques of playing Harmonica.The first technique is called VIBRATO,where a shaking note is given to harmonica by closing and opening hands around the harmonica.The second technique is called HEAD-SHAKING technique which is used in country music as well as blues.It is the moving of lips between the holes of harmonica very rapidly. 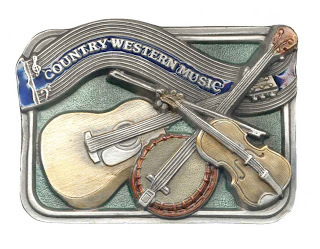 The best Harmonica players from the world of country music are:Charlie McCoy,Mickey Raphael,Jimmy Fadden,Terry McMillian,Mike Caldwell,Delbert McClinton,Leo Enry,klint Black,Kevin Garinger,Eddie K Lively. The guitar arrived in America with early European settlers during the Industrial Revolution.As the guitar became popular in stringbands, a number of guitarists began creating their own innovative styles.the first successful solid body guitar, and its success largely come from country pickers. In the 1990's, though, the technology has changed, no country guitar style, acoustic or electric, is truly out of date, and new ideas continue to flow.But stilll this guitar hasn't lost its charm and other genres also picking up rhythm from it. Well there are so many artisits who used it,i should say that almost evry artist used this guitar for his recordings,so no need to mention the name and each one who played this guitar is simply great in his own way. Fiddles aren't just for grannies and cowboys! 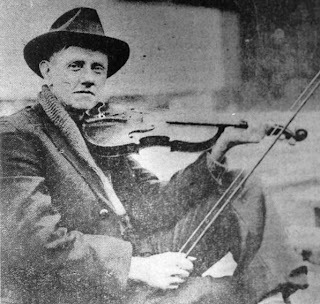 Even though fiddles are often used in country and folk music they are played in almost every style of music too. Fiddles and violins are the same instrument - violin is just another name for the wood instrument. The fiddle belongs to the string family. Well these are some of the typical country music instruments that are used in country music that make the melody more soulful.Country music is beautiful just because of the coordination of lyrics and the instruments..There are other instruments as well like drums,Bass and electric guitar but these instruments are used in almost evry genre so need not to mention that.Hope you all will like my this article and will try to listen to the country songs n try to rematch the sound of instruments i have told you about. At any point if you want to ask about anything regarding COUNTRY MUSIC,just ask me. I cannot decrible in a comment how wonderful and spellbound job ur doing as a blogger, if I am Not mistaken THIS IS UR SECOND ARTICLE... as a blogger! hey bro... Fiddle looks like voilin , are they both different? and bagpipper country music mein koi role play karta hai kya?